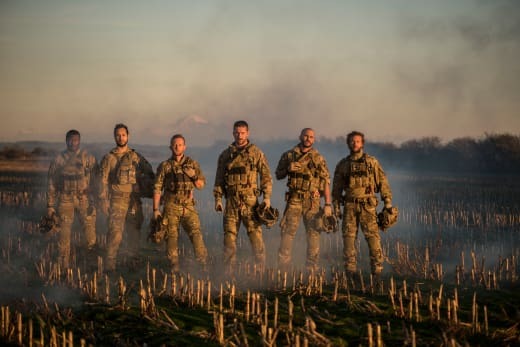 With four more episodes left to air, History has decided to cancel its gritty military drama SIX. Ratings have not been kind to the second season, but there were some big changes to the story of the ten-episode chapter in comparison to SIX Season 1. What hasn't changed is camaraderie between the characters on one of the few shows on television that currently features men supporting other men in a sea of programming that features women doing it all the time. 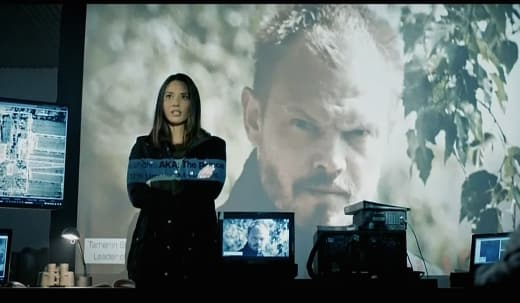 SIX Season 2 began immediately after Rip was shot. The character was ultimately killed, leaving a hole in the cast left by Walton Goggins. 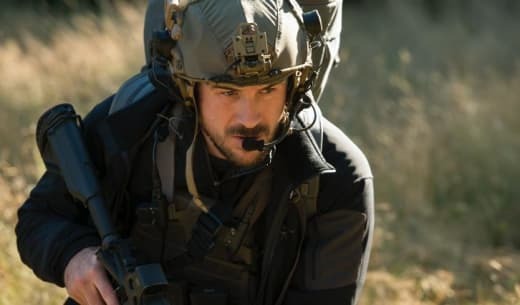 The SEAL Team felt the pain of their former leader's loss and with Bear at the helm and the addition of CIA officer Gina Cline (Olivia Munn), began to scour Eastern Europe, infiltrating hostile territory and terrorist hotspots like Chechnya as they track the mastermind behind the jihadist network responsible for Rip's death. The promise of the summary for the season was that the team's actions could spark World War III. Let's hope not because with the cancelation there will nobody left to save the day. Sloane has been an amazing advocate for his show, incredibly interactive with his fans on social media, and I know the cancelation struck him hard. For those of you have been invested in the season-long arcs, please keep watching. They have been great. 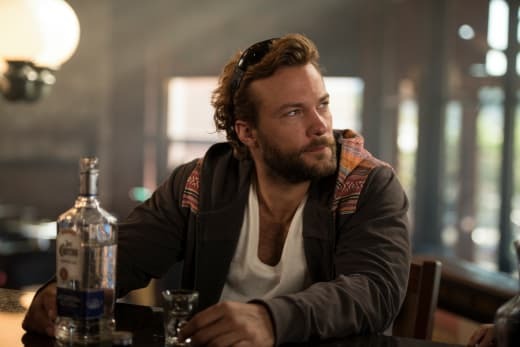 In addition to finding the madman behind the jihadist network using teens to do his dirty work on U.S. soil, Caulder (Kyle Schmid) has been fighting his demons and it's been a compelling ride. His friends and daughter have tried to keep him from death's door more than once, and Schmid does tortured soul through the guise of a party boy all too well. Similarly, Bear has continued to battle his inner turmoil that drove away his wife, Lena, after the loss of their baby with the belief having another one would be the easiest way to fix their problems. Not to be outdone, Jackie's been going to great lengths to protect her family when fear takes control and she loses faith in Buddah. Six‘s series regulars also include Juan Pablo Raba, Edwin Hodge, Jaylen Moore, Brianne Davis and Nadine Velazquez as well as second season additions Eric Ladin and Nikolai Nikolaeff. With the cancelation of SIX, that leaves only two original scripted shows on History's roster, the long-running Vikings and Knightfall which is returning for a second season. Don't miss your chance to find out how it all plays out. Keep watching and prove to History they've made a mistake. If you're behind, watch SIX online to catch up. And tune in to History Channel on Wednesday, July 11 at 10/9c for SIX Season 2 Episode 7 appropriately titled "FUBAR." What do you think of this news? Are you as bummed as we are about it?